See our pure breath collection video to showcase how we at OxygenWorldwide for over 20 years have used our expertise and knowledge to help many who need oxygen to travel get to their destinations and enjoy their time away. The Global Oxygen Therapy Device Market is growing fast because of the rising prevalence of lung, respiratory, heart and other diseases. The number is growing across the world because of the changing lifestyle. Oxygen is required by cells to do work. Oxygen therapy is required for the supplement of oxygen in body through external mean to the people who have respiratory disorder. The oxygen therapy is much required by the people who have chronic obstructive pulmonary diseases (COPD) for long term use. The levels of oxygen are checked by the oximeter, which checks levels indirectly. The oximeter is a small device which gets clipped into person’s body parts. The levels are checked before giving oxygen therapy so that doctors gets an idea whether patients will get benefited with the oxygen therapy. If the person is found with the low levels of oxygen then he/she can be the one applicant for the oxygen therapy. Generally, the patients of Asthma, Heart diseases, Sleeping apnea, lung diseases, COPD and other respiratory issues can get benefited from the oxygen therapy as it enhances the breathing power and patient can stay more active for long. The symptoms like weakness, headaches, fatigue, irritability and more will be reduced. The oxygen therapy is also helpful for the children with chronic lung conditions. Since the founders of OxygenWorldwide decided 12 years ago to take their business global, a unique concept came to light and started to divide the world. 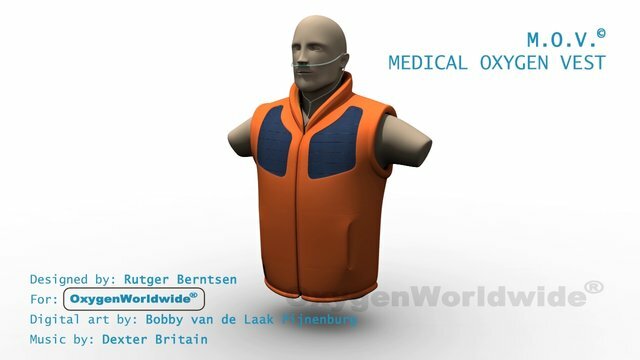 Today, active in more than 120 countries, OxygenWorldwide 24/7 personal approach in a minimum of 5 languages and ónly in regards to oxygen has proven só effective that major gas companies are now looking into, or have already started, cost effective outsourcing their enquiries for their own travelling patients to OxygenWorldwide. With a similar mission statement like Starbucks, OxygenWorldwide personal attention has not been left unnoticed by its clients. Current developments in the medical oxygen equipment industry are expected to change this market in such way that it will be difficult for oxygen suppliers and their home-care divisions to keep up with necessities like providing assistance in various languages on a 24/7 bases for their relatively small group of patients travelling abroad. Many of the oxygen users feel more comfortable travelling due to the latest inventions like electric portable oxygen concentrators (POCs). But as this seems fine for the actual journey they generally prove a high risk during more permanent use. More travellers encounter more difficulties and become therefore ´expensive exercises´. Today the oxygen world is divided into those who operate stagnant and outmoded call centres which cannot live-up to the multicultural requirements and those who can translate OxygenWorldwide´s vision into reality and understand the cost effectiveness of professional outsourcing. Are you ready for it too? Contact OxygenWorldwide now, they will be happy to visit and inform you about the possibilities. Contact Mr. Rutger Berntsen direct by e-mail: rutgerberntsen@oxygenworldwide.com or call to ++ 34 608 461 534. OxygenWorldwide celebrates it’s 25 birthday this year. OxygenWorldwide call-centre is unique in the world as they ónly deal with oxygen with a 24/7 emergency service in a minimum of 5 languages. OxygenWorldwide performs sustainable development in places that are in demand with travellers like Turkey and Dubai. OxygenWorldwide searches for the best prices and best service anywhere. Malnutrition can be a common complication with COPD. This is due to dyspnea, a major symptom of COPD, which makes people feel like they have no appetite. People with COPD require 10 times as many calories as healthy people in order to breathe. A patient may suffer dyspnea, have no appetite and not eat enough. They then cannot get enough energy from their food intake to breathe sufficiently and they can then feel tired and their dyspnea increases, making it a vicious circle. The best way for someone to supplement calories without having to eat more to do so, is to eat foods that are higher in calories. This is just one reason why COPD patient’s need to be careful of their diet. Finding the right diet should be part of your management plan for COPD. A healthy diet can help people with COPD maintain an optimal weight and keep COPD symptoms in check, and it provides the much needed energy. The trick is eating right to avoid shortness of breath during meals. Maintaining a healthy weight is very important in order to control your symptoms but being underweight is just as a bad as being overweight. 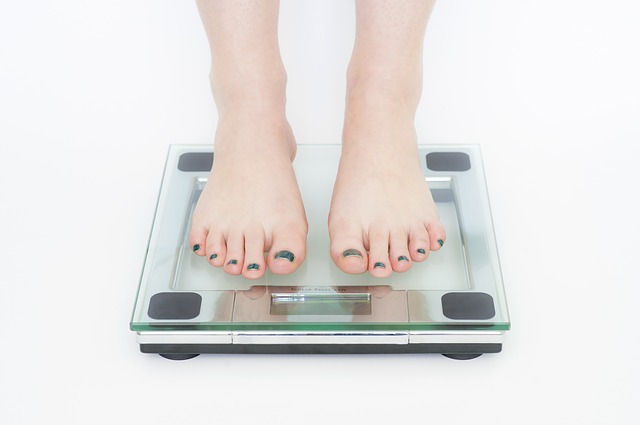 If you are overweight then carrying more weight around can increase shortness of breath. One factor that may contribute to the problem is the inflammation associated with fat tissue. But excess fat may also constrict the lungs, making it harder to breathe. The weight of the fat on the chest wall decreases the amount of room for the lungs. It also pushes up on the diaphragm, restricting its movement, particularly when bending over or lying down. Being underweight however is potentially worse as being underweight and weaker will zap your energy, make it more difficult to breathe as your muscles are weaker and give you a poorer prognosis in the long-term. A doctor or nutritionist can help you to work out the plan to suit your medical requirements. • Monitor calories: If you are overweight, you can lose weight by eating fewer calories. But don’t eat so few calories that you feel fatigued and hungry all of the time. • Avoid fad diets: COPD patients need to eat a healthful, balanced diet instead of going on fad diets to control weight. • Focus on protein: Ensure you’re eating enough protein as protein is particularly important for COPD patients who are exercising as part of their pulmonary rehabilitation plan. • Watch your portions: COPD patients usually find it better to eat small meals frequently rather than large meals twice a day as it helps lessen shortness of breath. • Get balanced: Focus on consuming fruits, vegetables, dairy products, whole grains, and lean proteins. • Limit salt: Consuming excessive sodium can lead to fluid retention, which can worsen your shortness of breath. • Remember your oxygen: If your doctor recommends it, use supplemental oxygen during and after meals to aid in digestion and help combat any periods of shortness of breath. Ensuring you have a healthy diet is extremely important, not just in the types of food that you eat but the amount and frequency that you eat. The right plan can help manage your symptoms, improve quality of life, provide you with energy and help your body fight against infection. With COPD you need more energy to breathe so feed your body well.